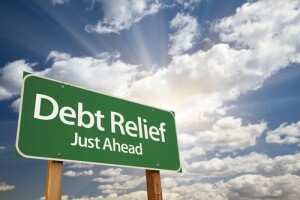 FAQs about Tax Debt and Bankruptcy (Pt. 3) - Jon B. Clarke, P.C. Wrapping up our blog series FAQs about Tax Debt and Bankruptcy, here are some final answers to commonly asked questions about tax debt and bankruptcy. Q – What if I already have a federal IRS tax lien against me? What happens to the IRS lien if I file for bankruptcy? When you are ready for more answer about tax debt and bankruptcy, call us. We can help you resolve your tax debt and bankruptcy case as favorably as possible. With Chapter 13 bankruptcy cases, a plan to repay this lien over the course of the next 3 to 5 years will need to be developed and approved by the courts. It’s important to note here, however, that you may not be obligated to pay back the full amount of the lien (and that an attorney may be able to help you work out a lower repayment amount with the IRS). With Chapter 7 bankruptcy cases, how existing IRS liens are resolved will depend on the value of your bankruptcy estate/the assets you have. In some cases, the IRS may be willing to release liens against you if you can prove that you don’t have sufficient assets. Q – Do I need an attorney to help me with my tax debt and bankruptcy? Other challenges that can cost you financially, as well as emotionally. Q – How to I get my bankruptcy case started so I can get on the path to discharging my tax debt? A – Simply contact the Law Office of Jon B. Clarke and meet with one of our Denver, Colorado bankruptcy lawyers. If you choose to move forward with us, we will oversee all of the important details of your bankruptcy case and help you obtain the best possible resolutions to all of your debt-related issues.